The RMI Blog will have a daily dispatch posted with pictures and a detailed description of what we did that day. You may have to scroll a little bit to find the updates from the Peru Seminar. My SPOT Page will show my latest messages and tracks. There will be a few days (shown below) that should have some interesting updates. The rest will be spent traveling, acclimatizing, and working on climbing skills around base camp. Leaving Huaraz in the morning, we make the short drive to Collón (11,150′). We meet our mules and begin the trek through the Ishinca Valley. Several hours of hiking through alpine landscapes brings us to our Base Camp. We make an early alpine start to climb Nevado Urus (17,800′). After the climb, we descend back to Base Camp. 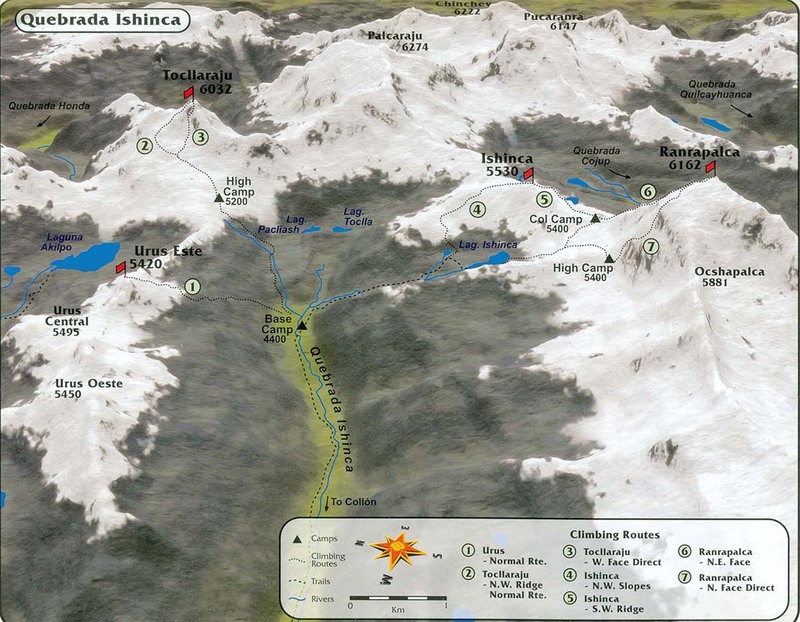 We leave Base Camp and climb to our high camp below Tocllaraju. After establishing camp, we settle in for the evening. Leaving high camp, we make our summit attempt on Tocllaraju (19,796′). The climbing is a mix of glacier travel and exciting, steep snow climbing to reach the mountain’s summit. Following the ascent, we descend back to our high camp to retrieve our gear before descending to Base Camp for the evening. Peru’s Cordillera Blanca is one of the most spectacular mountain ranges in the world. The high peaks of the Cordillera offer phenomenal climbing and ideal opportunities for mountaineering training. Cordillera Blanca is the world’s highest and most glaciated tropical mountain range. Topped by 6768m high Huascaran there are 25 6000ers and more than 50 peaks above 5500m within this range, amongst them beautiful Alpamayo and “Paramount peak” Artesonraju. Climbing season runs from May -September. It provides long periods of dry and sunny weather only interrupted by one or two less stable days, which however may force you to wait in your tent before the summit bid. 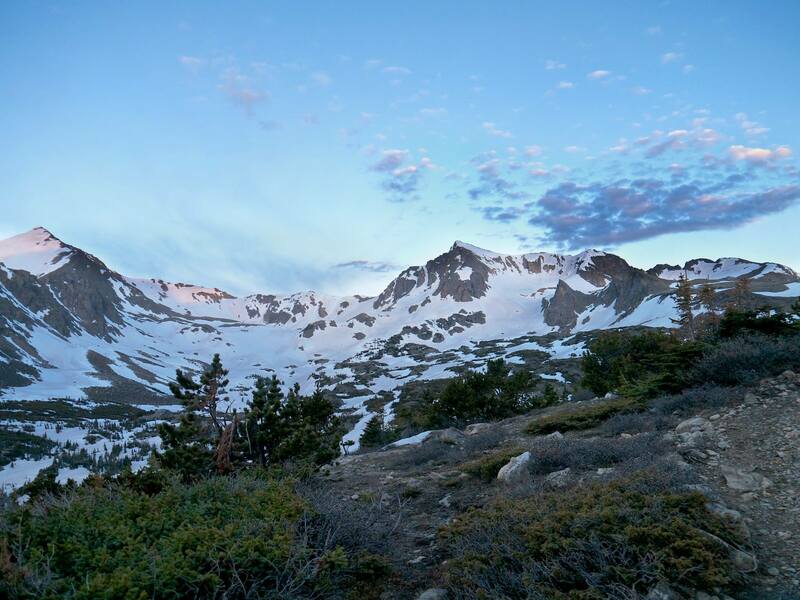 Mt Neva is a gem of a mountain nestled in the Indian Peaks Wilderness. Its complex North East Face holds several quality snow routes. The route we climbed is a steep couloir called Juliet. We had an absolute blast on this route.